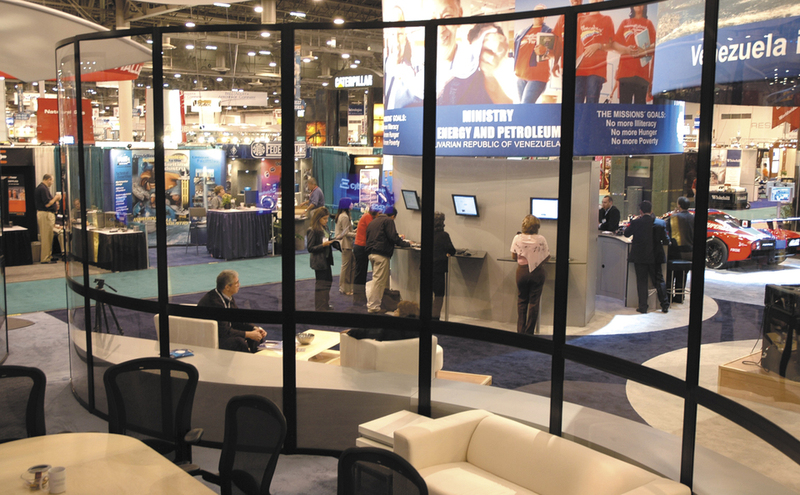 When the convention center had no space available for a press conference with the company’s president, the conference rooms gave PDVSA the ability to adapt. 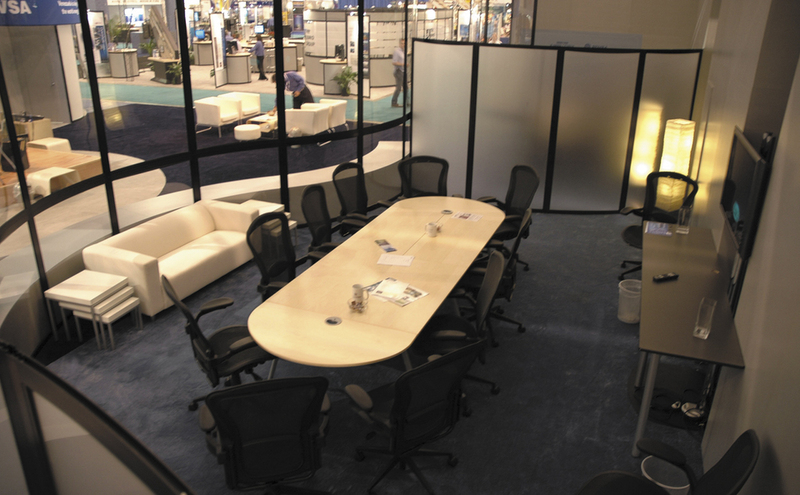 Skyline converted the three rooms into an alcove with seating for 60 in barely a half-hour. 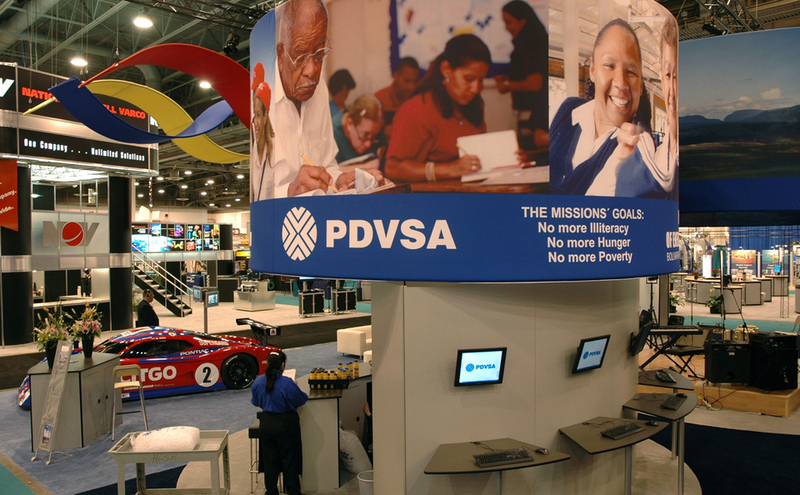 PDVSA has exhibited from Canada to Qatar and from Brazil to Dubai in the United Arab Emirates. 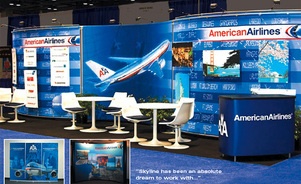 Skyline’s comprehensive service makes global exhibiting a worry-free adventure. 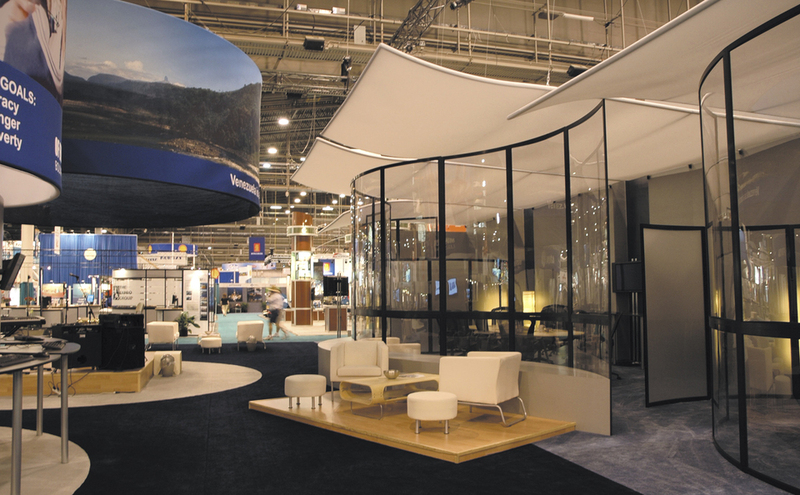 Through a joint venture with Nexus Productions, one of Venezuela’s leading production houses, Skyline designs, ships, installs and dismantles the exhibit and manages PDVSA’s other show needs and provides on-site assistance. 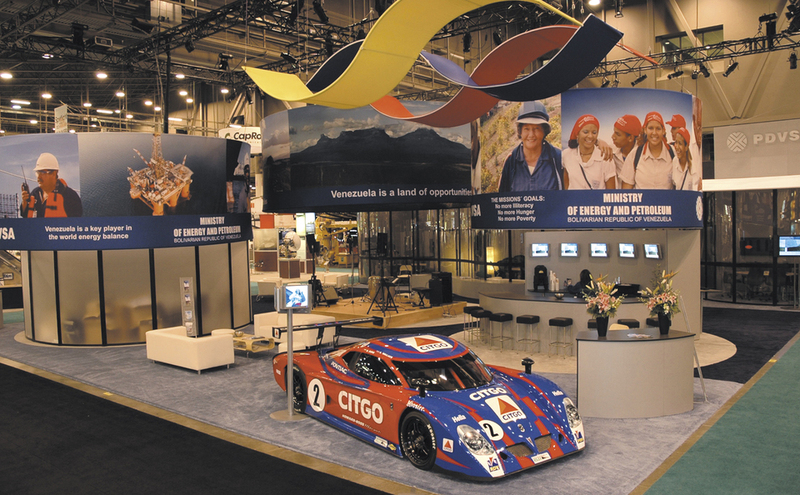 That allows PDVSA to focus on customers and prospects. 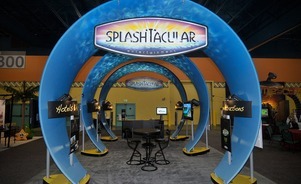 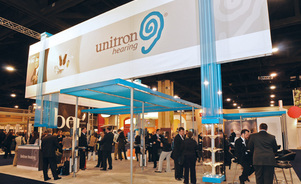 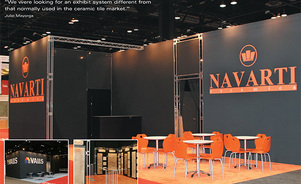 In a crowd of competitors using heavy, wooden exhibits, Navarti turned heads while saving money with a pair of 40'-by-30' custom modular exhibits. 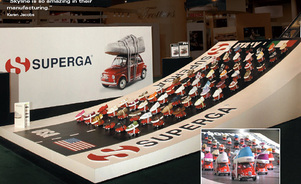 Three weeks before the Superga brand of Italian footwear debuted at the biggest U.S. shoe show, a scheduling conflict in Europe erased all hope of using its award-winning traditional custom exhibit.